We would love to design a custom arrangement just for you! Please call us at 262.275.1900 to place your order. For same-day-delivery please contact us by 1:00pm. For a more unique arrangement or special requests we ask that you give us 24 hours. 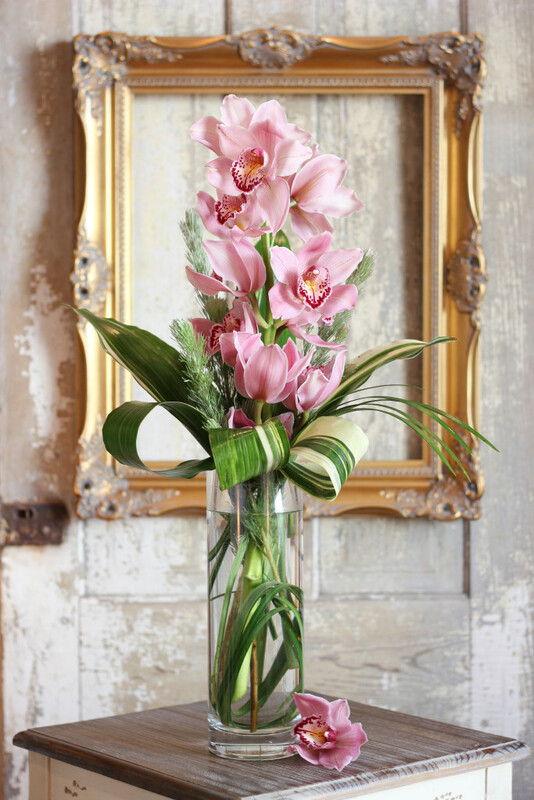 A beautiful stem of cymbidium orchids arranged like the one pictured would be $60 when seasonally available.